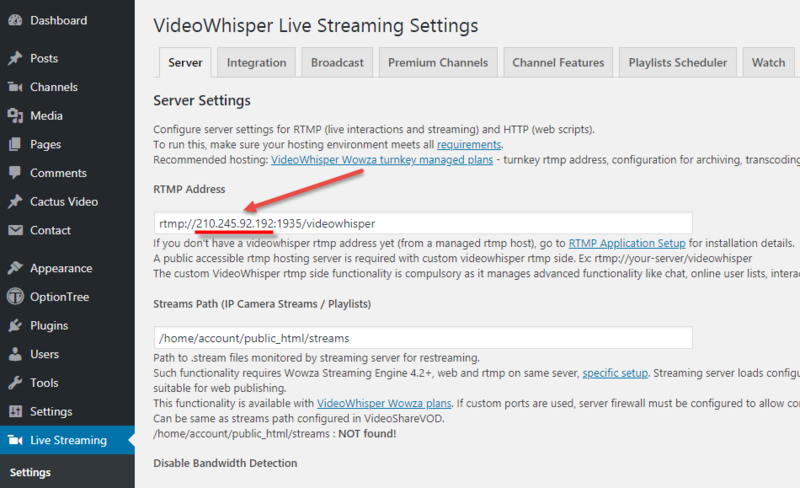 From version 2.3.5, VideoPro has ability to broadcast Live streaming using Live Streaming / Broadcast Live Video plugin and Wowza Streaming Engine. Please follow these steps to set it up. Step 2.1: Go to https://www.wowza.com register and login to use Wowza Streaming Engine. We try a Free Trial account in this example. Once registered, you can download and install the Wowza Streaming Engine Installer. A license key for this app will be sent to the email which you used to register to Wowza. Step 2.4: Open your Wowza Streaming Engine Manager in a web browser by this URL format: http://[wowza-ip-address]:8088/enginemanager. Where [wowza-ip-address] is the IP address/domain name of your local or remote Wowza server. 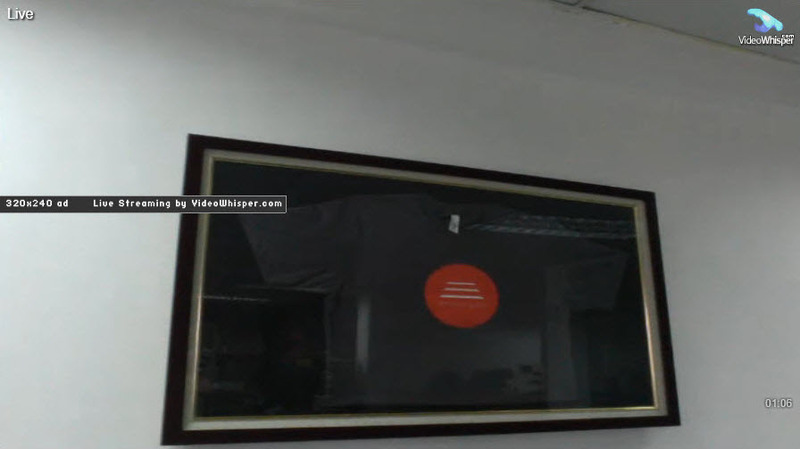 Sign in to Wowza Streaming Engine Manager with the account that you created when you installed the Wowza Streaming Engine software to start this service. Step 2.5: If you are working on a live site, go to WP Dashboard > Live Streaming > Settings > Server to change RMTP address to your hosting IP address with post: 1935. You can skip this step for local setup. 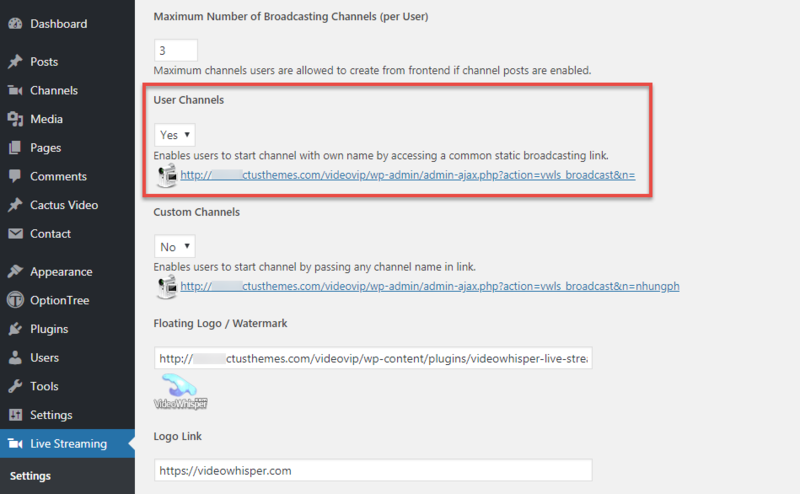 Step 2.8: Go to WP Dashboard > Posts > Add New Post to create a post with format is Video then add the streaming code above into Video Embed Code field. Have fun!